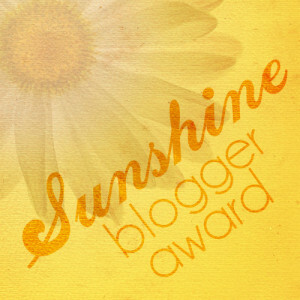 ← Are You There Blog-god? It’s Me. Atypical60–Cathe!!! I Had the Citiest Weekend! So How Was Yours? This was the weekend that Oona moved from New York to Arkansas. Need I say more about my city weekend? Friday evening, I wasn’t exactly the best dinner partner that Bonaparte could have. I spilled my spicy sushi sauce all over my plate—but it didn’t stop me from stuffing my gluttonous face dining on Wegman’s sushi. My hypochondria is starting. I have to make an appointment for my annual lady parts checkup so that will have me angst-ridden for a good month or two! Spilling that spicy sauce didn’t stop me from wolfing down the sushi. Bonaparte gave a prayer of thanks that I didn’t spill the bottle of wine! Then there was the reality that my daughter was leaving. I got no sleep. I didn’t even need my alarm that woke me up at 5 AM either! I was already awake. Her flight was at two in the afternoon. But between traffic on the PA turnpike, the NJ turnpike and bridge traffic from the Verrazano and the Brooklyn, Queens Expressway, it was better to leave early! We were on the road at 7:30 AM! Two hours later we arrived at the apartment. 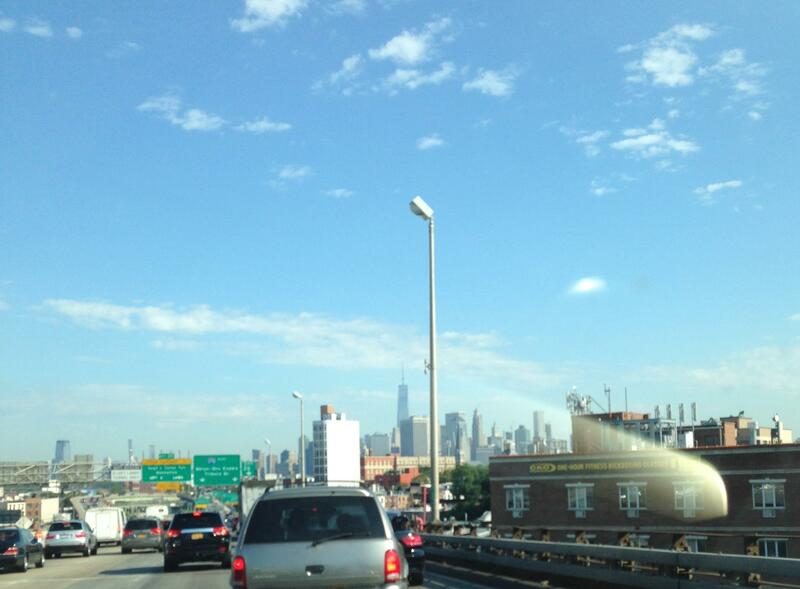 Saturday morning on the BQE. I MISS New York so much! The downtown skyline from Brooklyn Heights. There is NOTHING like the view of lower Manhattan from The Heights! When I lived in Brooklyn Heights I would walk down to the Promenade every night after work. The view has changed–no longer are the twin towers there, but the view is still magnificent! Another view from Brooklyn. The Brooklyn Bridge! A passing view of DUMBO. Down Under the Manhattan Bridge Overpass. It’s getting a little update! Oh..and Bonaparte was driving so I didn’t disobey the rules of the road! Oona was moving out and later on in the afternoon, my nephew, Michael was replacing her as Roman’s new roommate. It’s nice to know that the two cousins will be sharing living space! My son Roman is happy because he got an instant roommate. His cousin Michael. 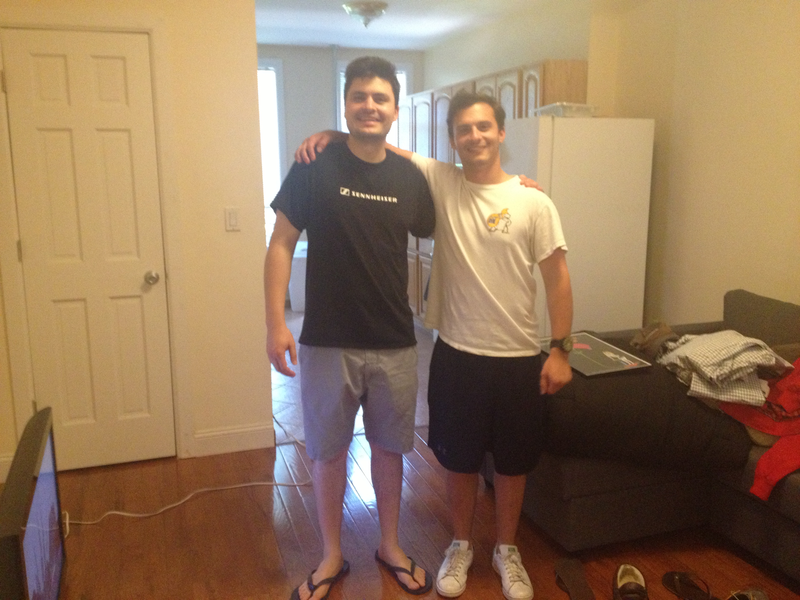 Michael is happy because he doesn’t have that long commute from Long Island into Midtown Manhattan anymore! It’s all good! Anyway, Oona had quite the bit of clothing to take with her. 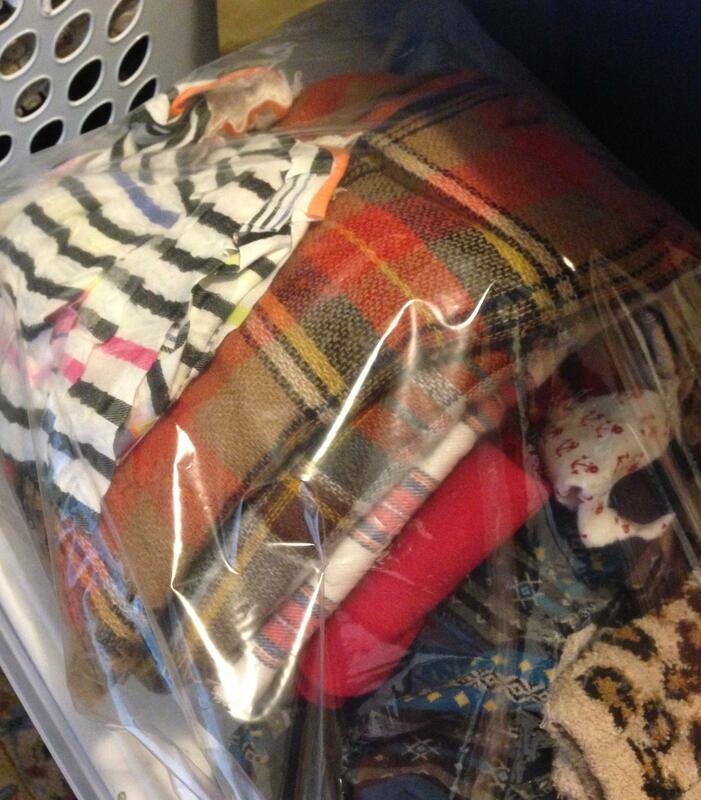 In fact, I gave her one of my suitcases—why should she spend money on another suitcase when she can have mine. Right? Besides, I was sure she had most of her stuff packed. When we arrived she was still doing laundry. She still had “lots-o-packin'” to do. She was stressed and anxious. I was in the same frame of mind but held it in and helped her pack and purge. Bonaparte sat on the sofa and ignored us while he watched TV. Actually, the purging was a good thing. 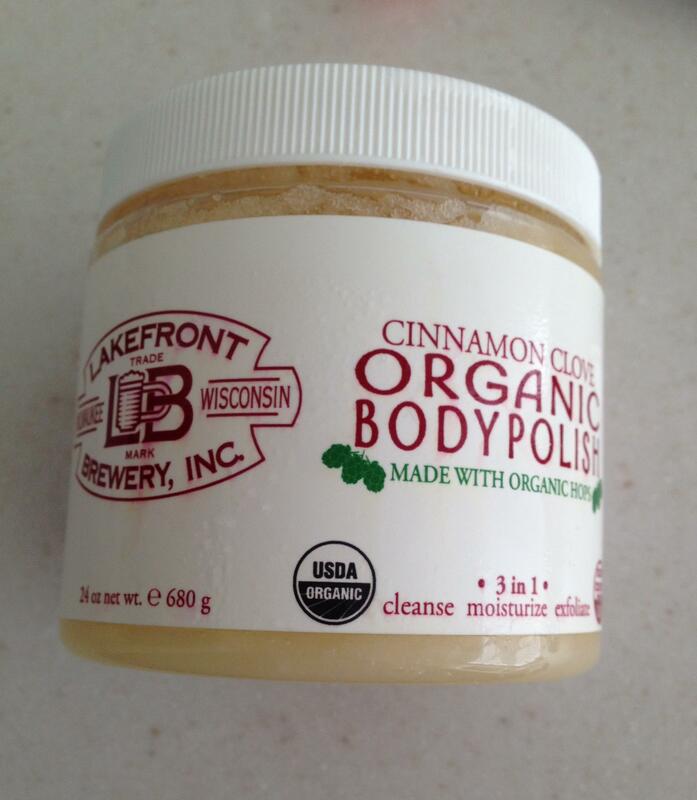 I ended up with some body scrub that Oona never used! Stuff that mommy gets for free! I’m having a Paupered Princess moment. 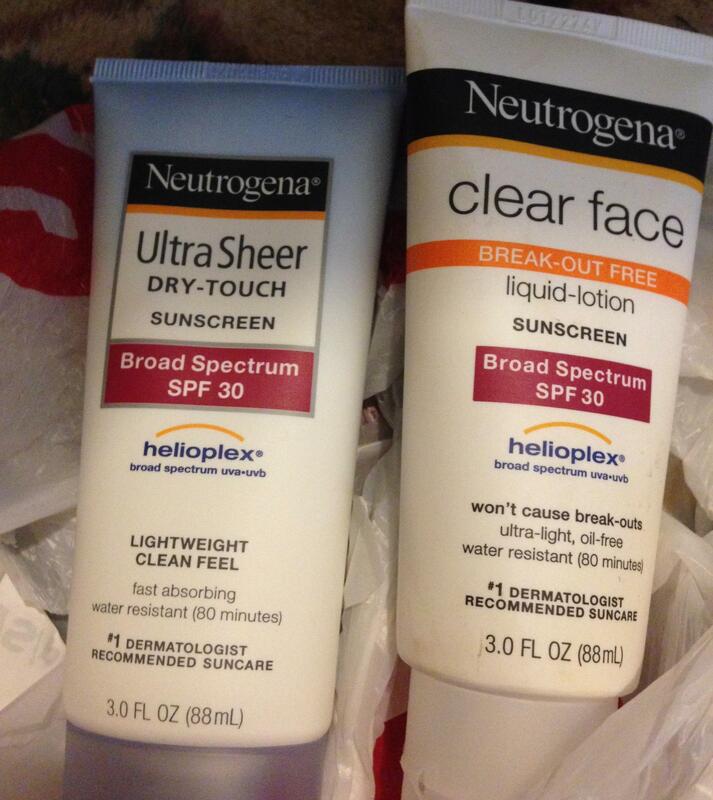 She also “found” a CVS bag filled with Neutrogena skin product that she forgot about. I took it home with us and told her that she won’t have to worry about traveling home with more stuff when she comes back to visit. More stuff to take home! How can you “lose” this in your closet? I have no comment! Another “find”—a beautifully packaged gift from Roman. He forgot to bring it to me. About a year ago. 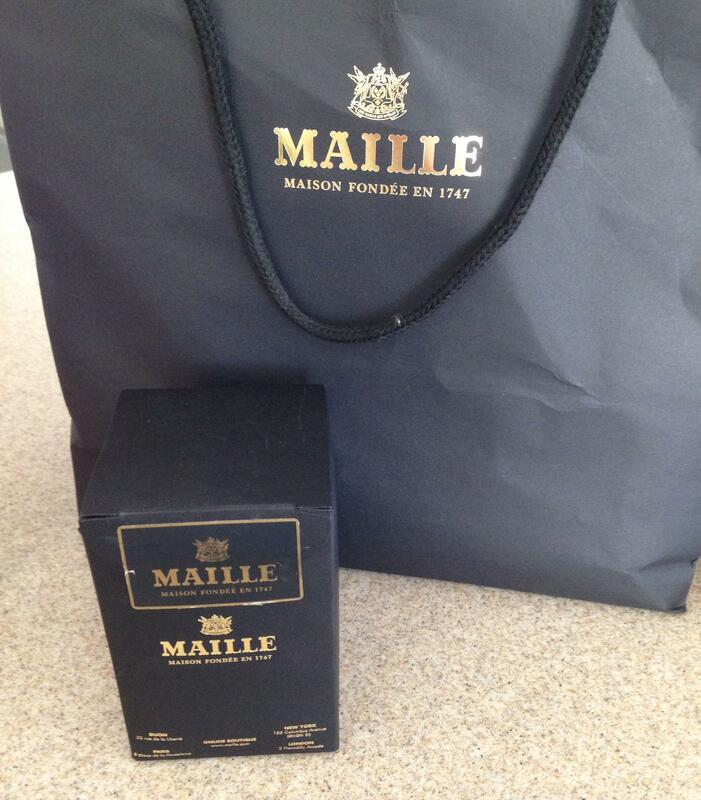 A Maille horseradish mustard! It also came with the cutest little mustard spoon! I love surprises! CAVEAT!! I’ve just been informed by my son that this gift is only four months old at best–it was either for my birthday or mother’s day! Either way–it’s all great! Actually, she was in good shape for the move. The apartment borders Astoria and Long Island City in Queens. 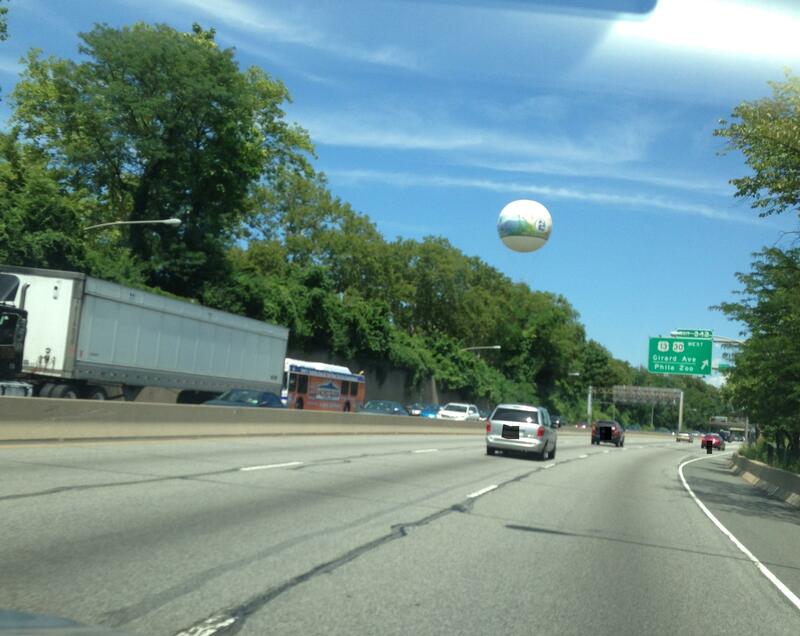 It is, literally six minutes from La Guardia airport! Ten minutes in traffic! The beauty of LaGuardia airport is the people who work there. We were able to park the car at the terminal’s curb while Oona checked her luggage and herself in. The man who was assisting her weighed her really heavy luggage and explained that the charge would be an additional $400.00. He also explained to her that if she flew first class, she would have three of her four pieces of luggage checked in for free. He asked her if he wanted to try to get her upgraded. Saving her company money, she agreed. I stayed with the luggage. Bonaparte stayed with the car. 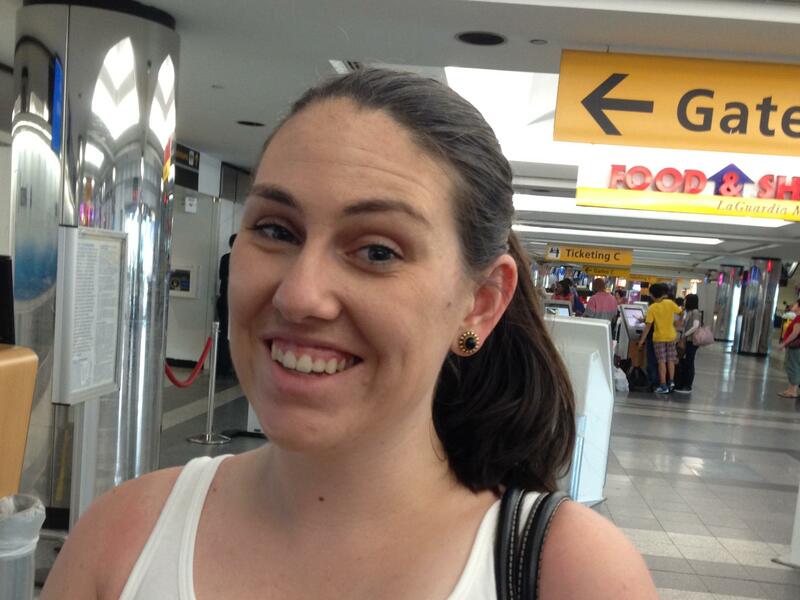 Entering LaGuardia to drop my baby off for a new and exciting adventure! She got the upgrade. 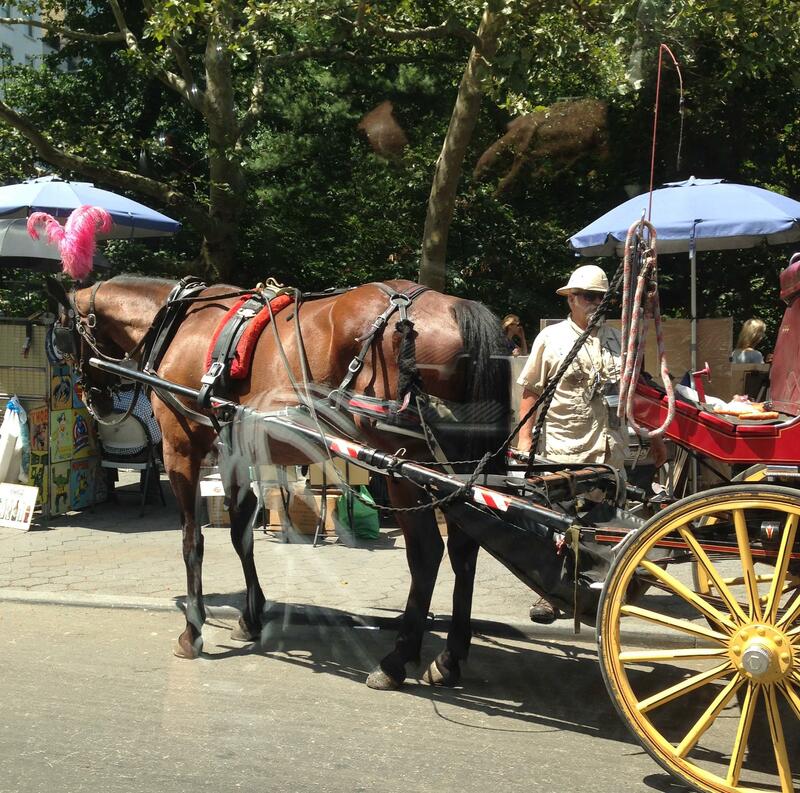 Now if you are familiar with the way New Yorkers operate, you know that we love to tip. Honest to god. We could have our last twenty bucks in our pockets and if someone helps us, we will hand it over! I handed him my last twenty bucks and thanked him for taking care of my baby! I’m telling you, those guys who work at LAG are hustlers—and not in a bad way either! They take care of people in a quick and efficient way. I’ll get back to this guy in a minute. So I went into the terminal with Oona and the guy who helped her. We checked her luggage in and he went back outside. Oona was really happy to be embarking on a new adventure! She was moving from New York, but moving on for a better career move. After a week of “good bye” partying, my daughter was actually smiling because she was going to finally get a few hours of sleep..or was she smiling because I can only do some long-distance nagging! We had a very teary moment—and when I hugged her, it brought me back to the bear hugs I used to give her as a toddler. Only this time it was a hug that I didn’t want to end! She left. I left the terminal. The guy who assisted came running up to me. He grabbed me and took me back into the terminal. He had Oona’s driver’s license. She forgot to get it back when she upgraded. At this point, I didn’t even pause to think. I just yelled at the top of my lungs—and effortlessly, I might add. The entire terminal stopped to gape at me. The guy who helped suggested I call her on my phone. Next thing I know, Oona came running from around the corner. She explained that she was on her way to the gate and she heard my loud mouth voice yelling her name. She also said she couldn’t believe how far my big mouth voice carried! We handed her license back to her. The entire terminal applauded! The guy who assisted was impressed! I got to see my baby for one more fleeting moment! 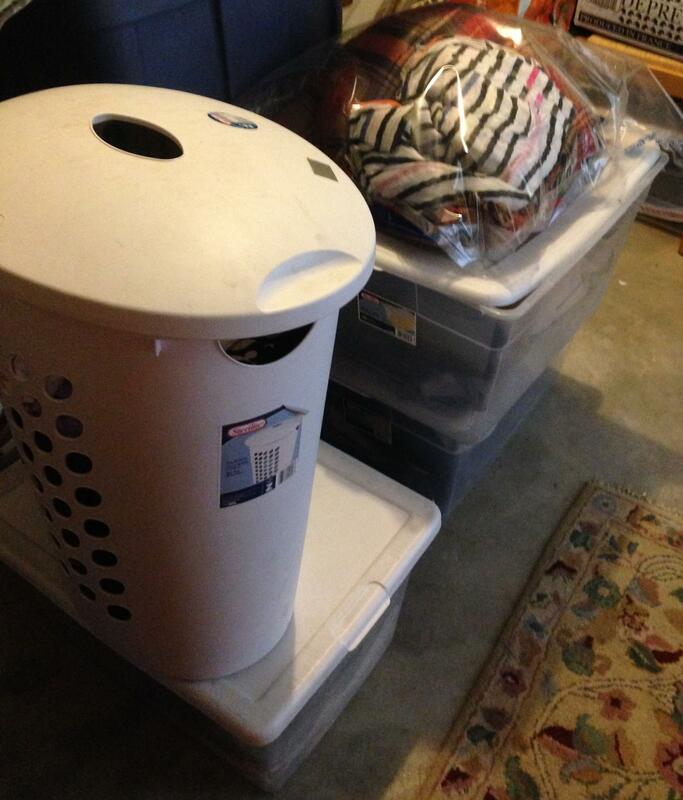 We drove back to the apartment to pick up the rest of Oona’s stuff. We’ll be sending it to her when the weather gets cooler! Oona is lucky that I have bigger feet than she does. 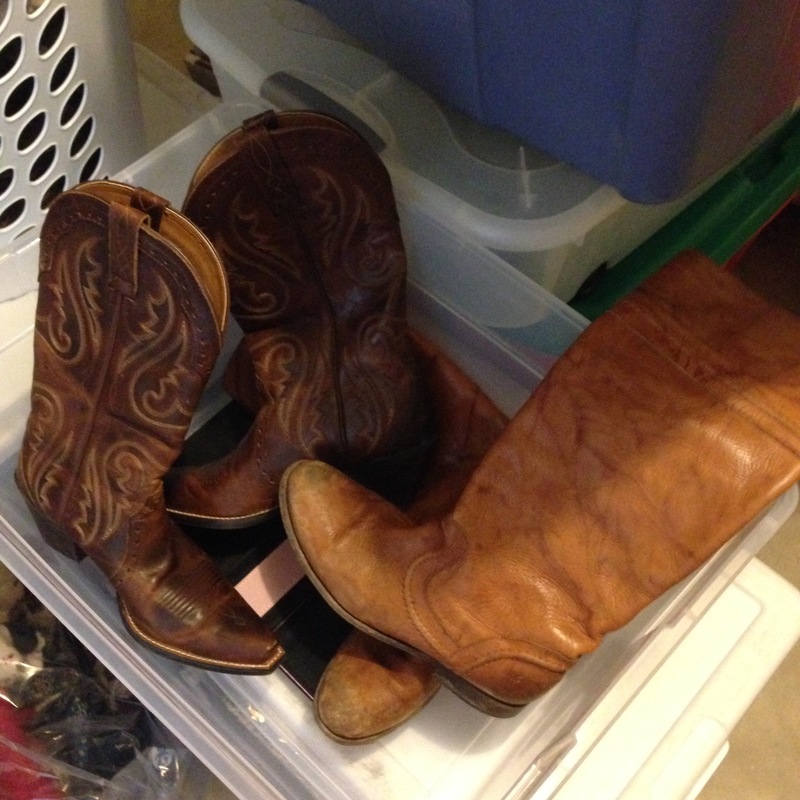 Those cowboy boots are mighty cute! 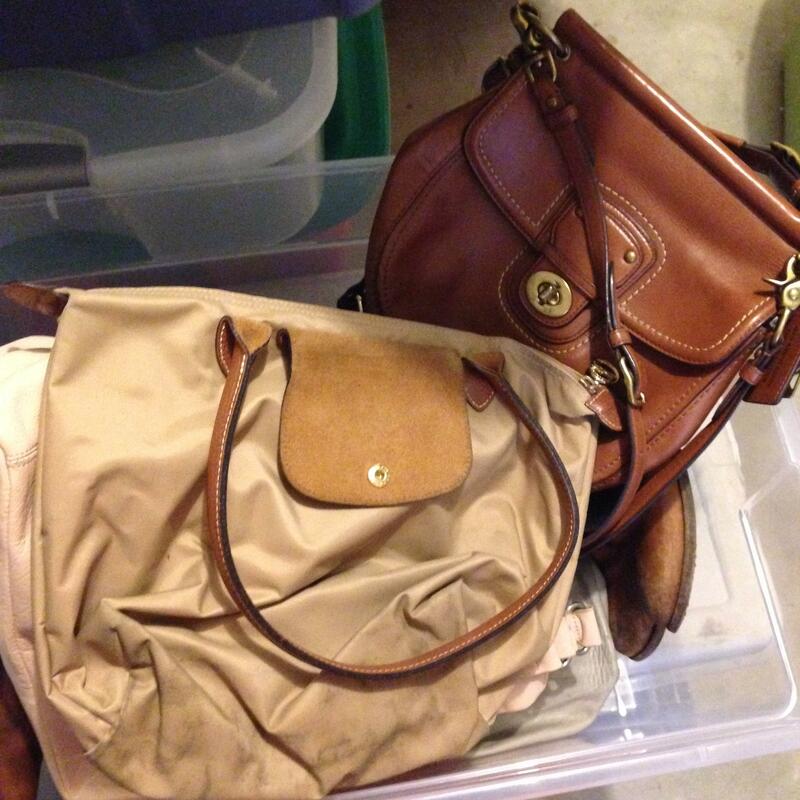 How could she leave Longchamp and Coach behind? Like mommy, she has a log of scarves. Like mommy, Oona also has a penchant for plaid! 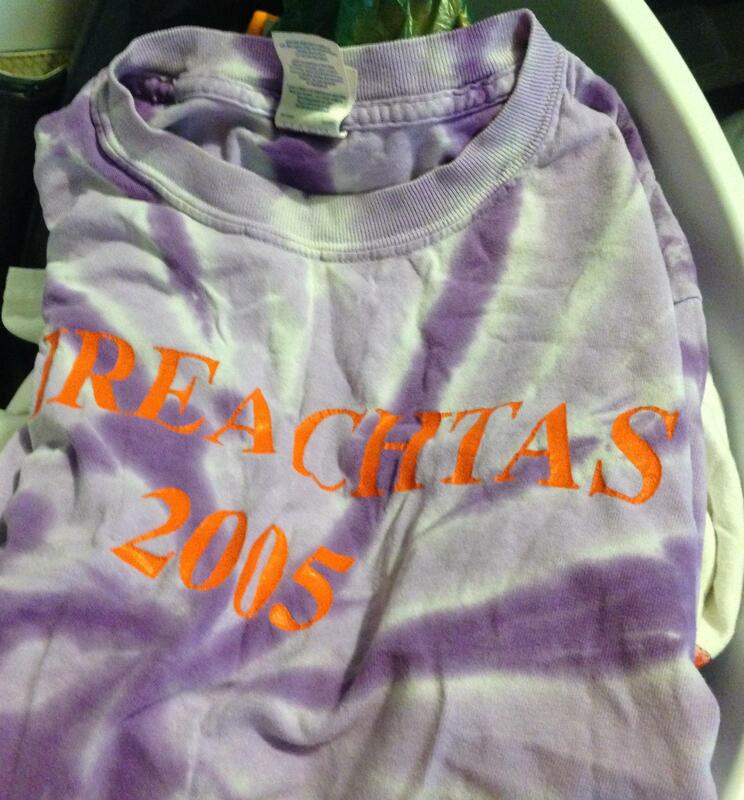 …and entire hamper-full of Irish Dance t-shirts, Delta Gamma t-shirts, and other t-shirts of her life. 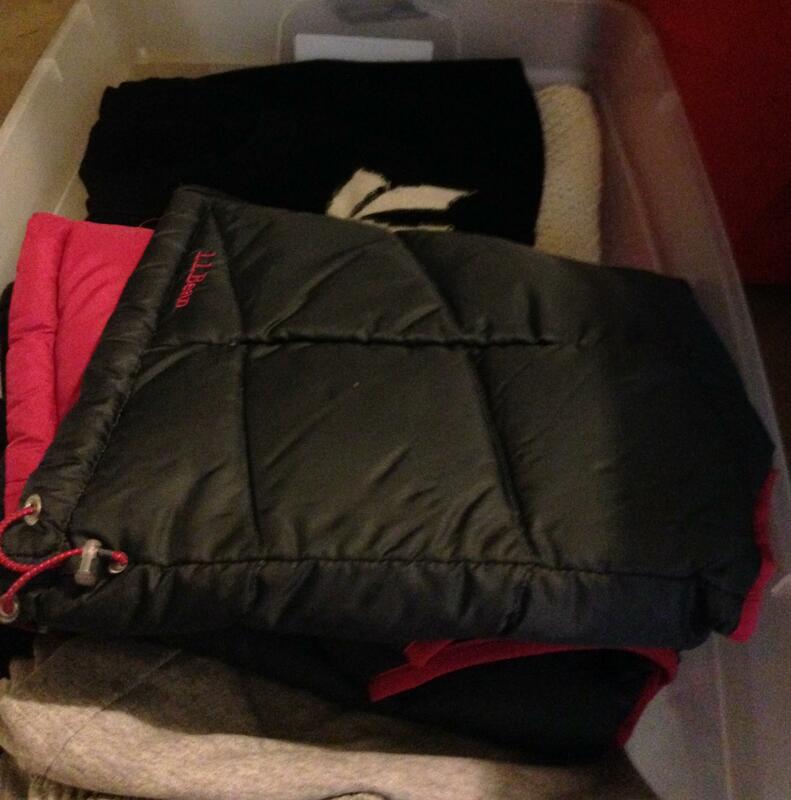 I will have to have a quilt made–it’ll be less expensive than sending the hamper to her! Hopefully global warming will allow for the outerwear to be sent to her much, much later! Oh. I have to tell you. One thing I love to do is take the cheapest routes back from New York. I cannot stand paying tolls. So—instead of taking the BQE back to the Verrazano and spending the EZ-pass amount of $11.08 (cash is $16.00), or taking the Triborough Bridge and paying $5.54 with the EZ-Pass (Cash $8.00). 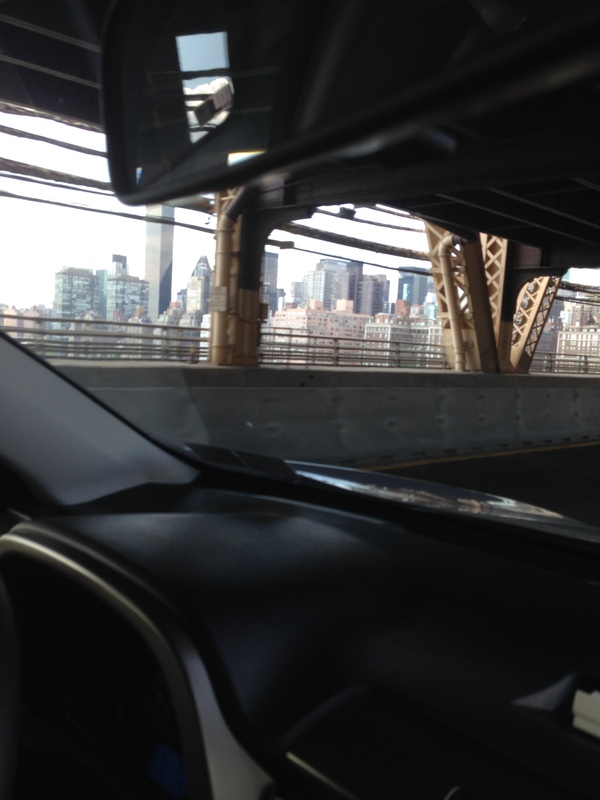 We took the 59th Street (Queensboro) Bridge into Manhattan, drove across town to the Lincoln tunnel and saved $16.62! Quite the savings, huh? Seriously—if you are thinking of going into Manhattan any time soon and are driving, shoot me an e-mail. I’ll give you the easiest and cheapest driving routes! I’m obsessed! 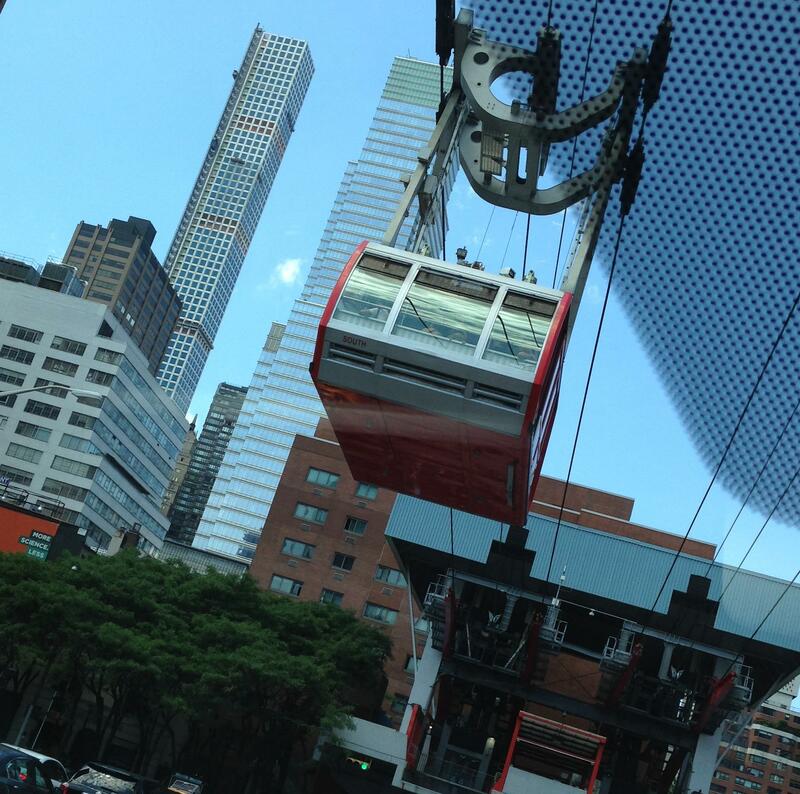 We left the beauty of the elevated subway and Queens on the cheap…. 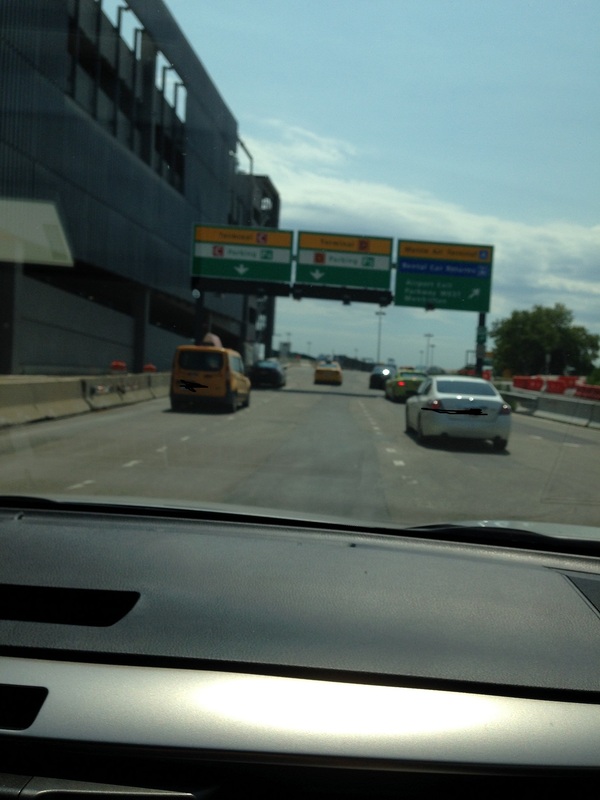 Taking the 59th Street Bridge aka. 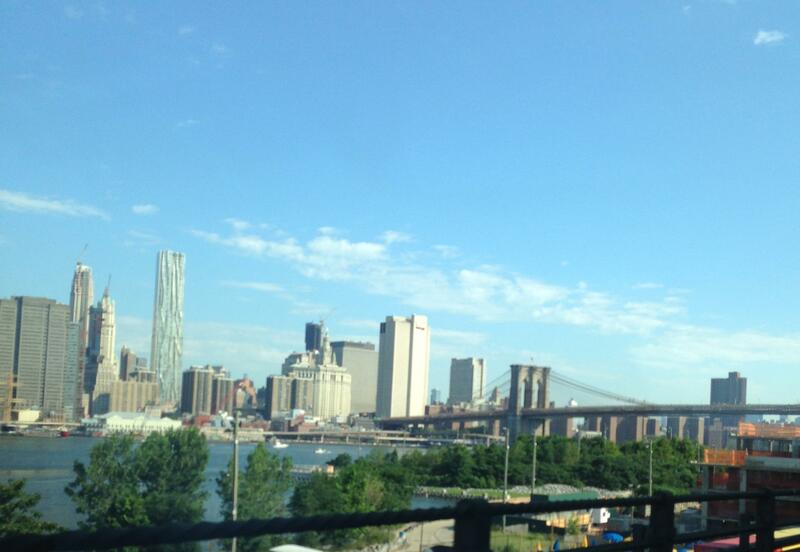 Queensboro Bridge saves money–and gives a great view of the City! Just into Manhattan. Call me crazy but I miss NYC apartment living! Bonaparte never realized there was a tram going over to Roosevelt Island! And he used to live about three blocks away from this! 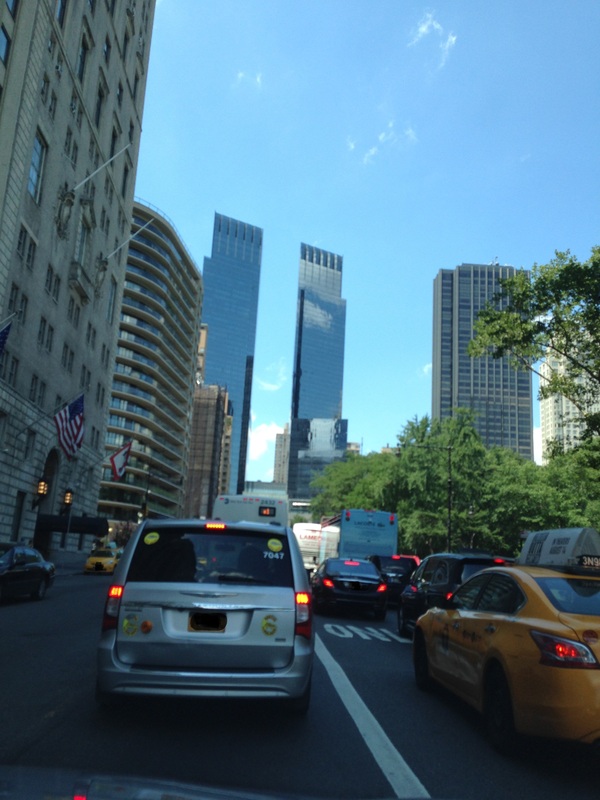 …and to deal with city traffic, once again! Trust me, THIS is the cheapest way to get home! I’ll tell ya, by the time we got home, I was emotionally exhausted. I made sure I tracked Oona’s flight until she landed—as I’m sure any obsessed mother would do! 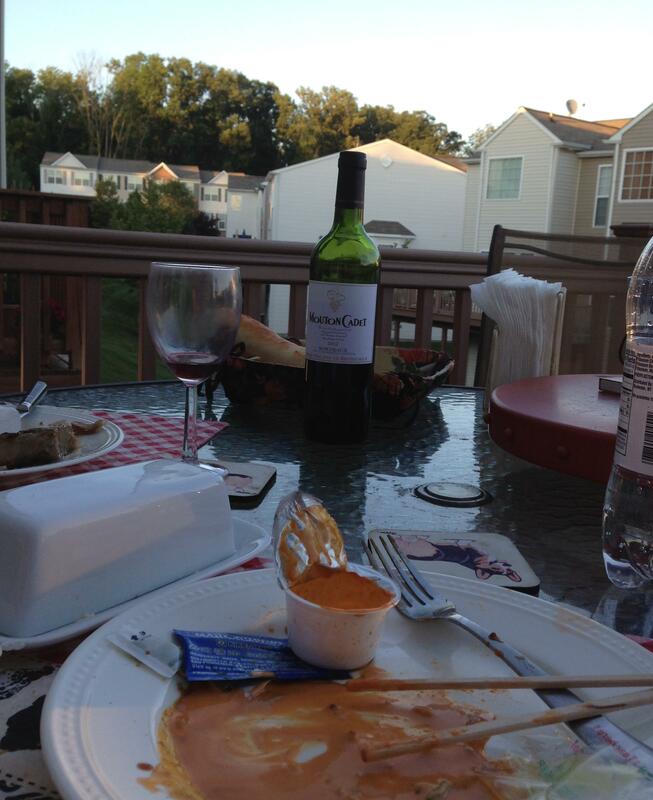 Dinner had a very quiet and sullen me. Bonaparte has the patience of a saint. I swear, this was one of the BEST exhibits I’ve ever seen–and I’ve seen many in other museums! So we decided to get to the museum when it opened at 10AM—which ended up being a smart idea. The cost to enter the exhibit was $25.00 per person. I balked, and then mentioned to Bonaparte that it may be more cost-effective to become members of the museum. 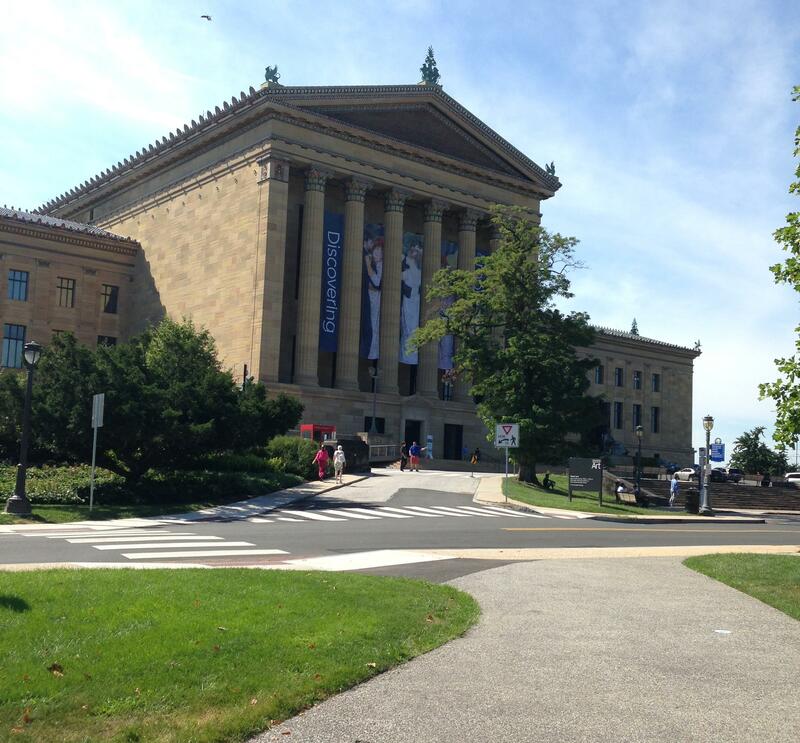 It was a perfect day to spend some time at the museum and to drive around Philly! 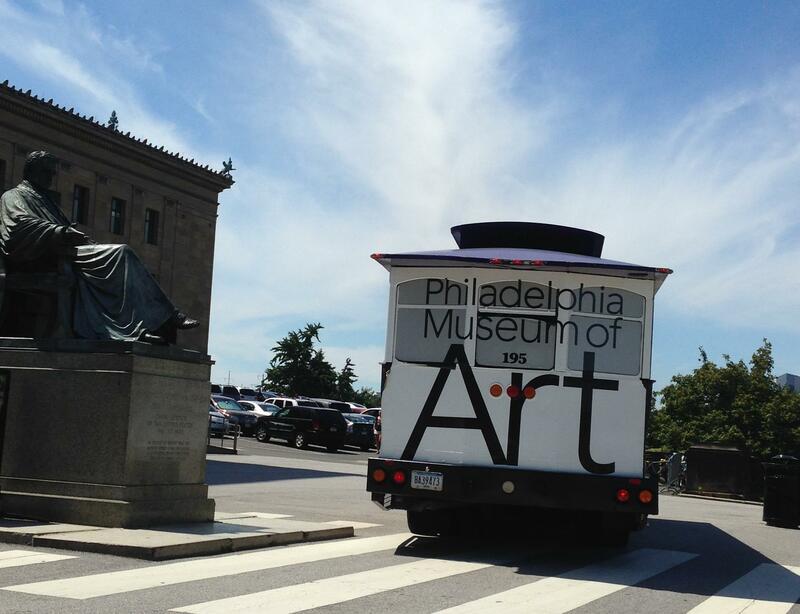 We are now members of the Philadelphia Museum of Art. It’ll be a great value because it’ll give us something to do on the weekends during the winter and on rainy weekends in the summer. Parking is discounted and the benefits are great. Discounts in the museum shops and restaurants. Free tickets for other exhibits. And we don’t have to wait on the lines! 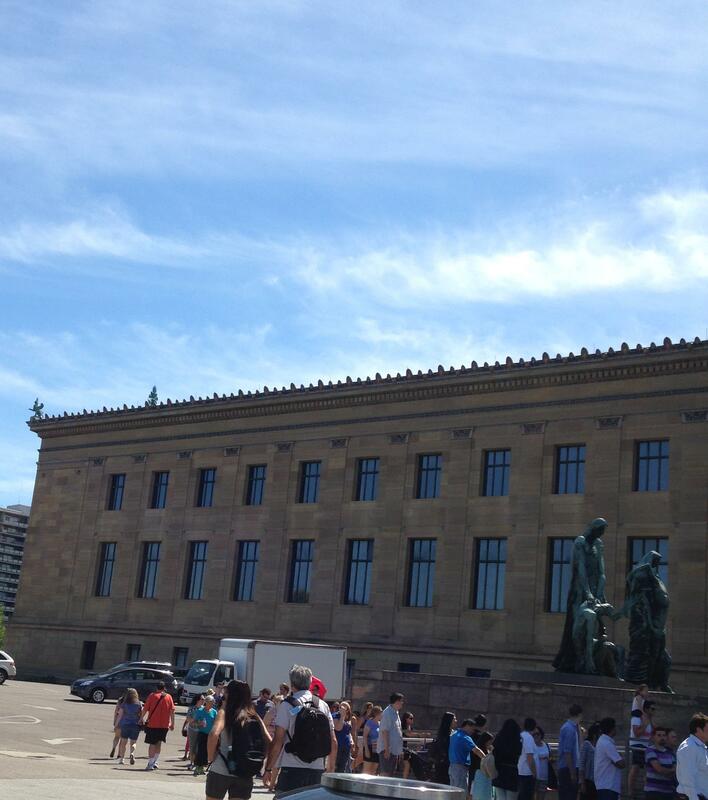 I was shocked at the line to enter the museum…. …this was the line at NOON!!! I cannot imagine how much longer it got. I’m happy we arrived when the museum opened! Actually, it was a good thing that Bonaparte got the membership for us. He’s getting tired of my bitching about how much I can’t stand Philadelphia and how New York City is so much better! Bye-bye for today! We’ll be back regularly! I am starting a new relationship with the City of Philadelphia! 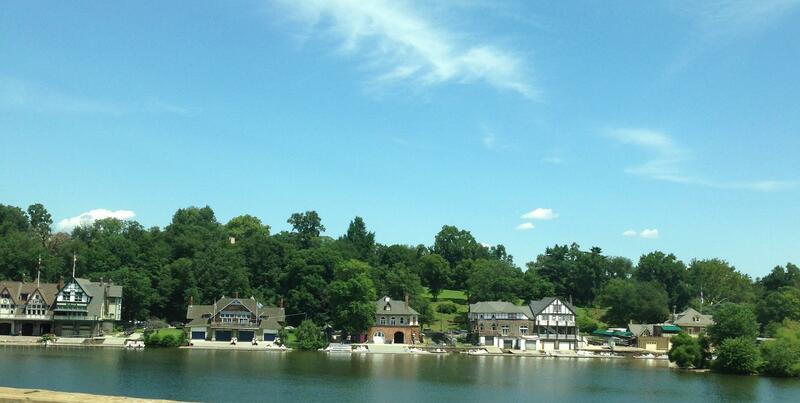 The view of the boat houses from across the Schuylkill river IS pretty! 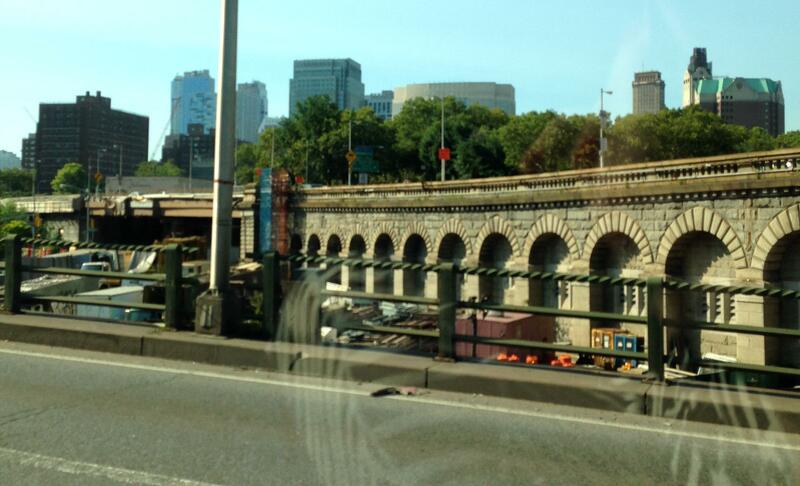 The Schuylkill Highway is also pretty when there’s no traffic. Look at the side going INTO Philly! Know you know why I’m glad we went into the city early! 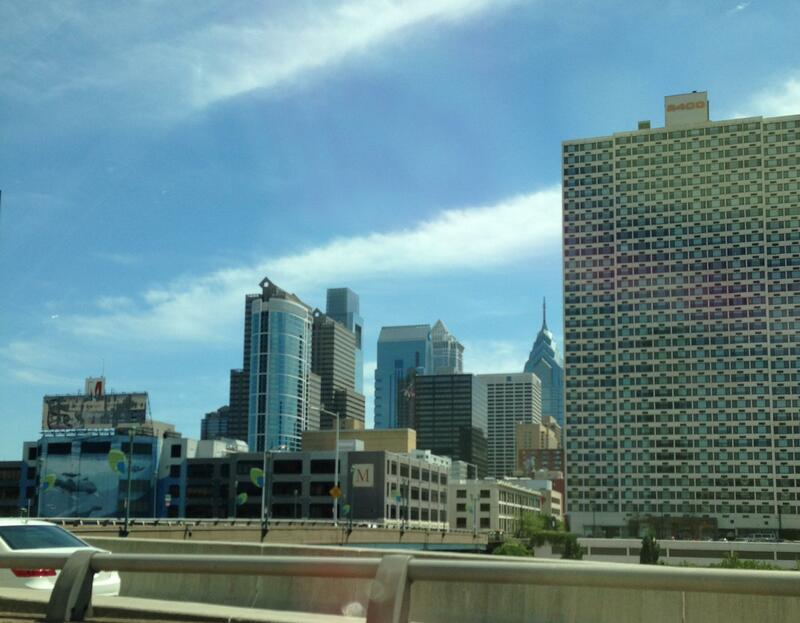 It may not be New York, but I’m feelin’ mighty groovy about discovering the City of Brotherly Love! It’s not New York, but I’m learning to appreciate what Philly has to offer. 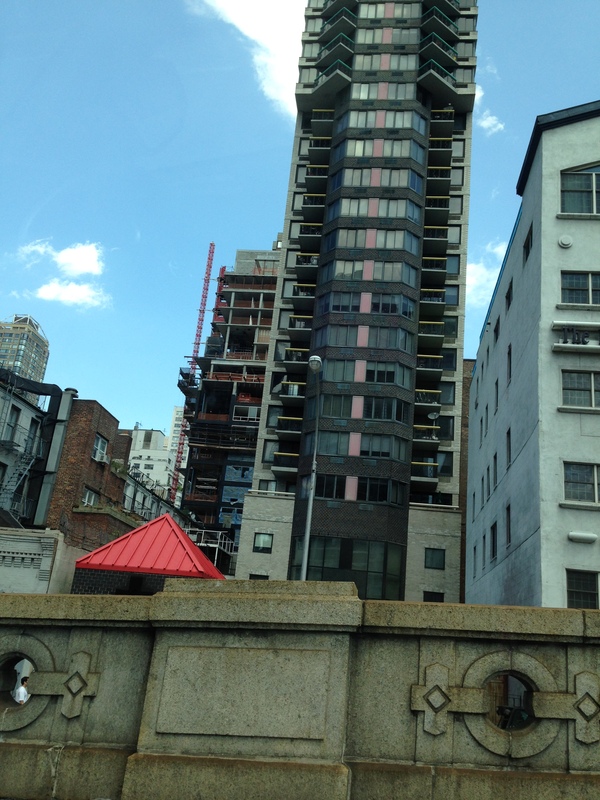 Look in the background–it looks like a mini Chrysler Building! 23 Responses to I Had the Citiest Weekend! So How Was Yours? What a great weekend. I sympathize with you re your daughters move. It’s gut wrenching that first move, for the mom. My oldest left OH for NYC for 5 years, then Chicago, then Austin, then back to Chicago. Finally acceptance set in, thus our retirement to Sarasota where I’ve made a good life for myself and we travel to wherever the kids may be and look forward to their visits. And thank God for FaceTime. Jean–your daughter’s moves are so in tune with my kids. My oldest went to University of Texas in Austin. Austin is a GREAT city! Oona actually lived in Cincinnati before moving back to NYC. I thought she would be here permanently–but now I have another place to visit! Our nests may be empty, but our travels are very full!! XOXOXOXO! I’m so glad your starting a new relationship with Philly! I know you love NYC, but Philly has so much to offer. Discovering it will, in a small way, keep your mind off the things that trouble you, and just think of all the new experiences you’ll be able to share with your daughter. And she will be able to share all her new experiences with you! Thanks Lori! Yeah. I’ve been so nasty about Philly for a while. But after this weekend I just figured why not enjoy what Philly has to offer. I’m so excited about returning to the museum that I’m secretly hoping it rains next weekend!!! XOXOXOXO! Oh..no need to apologize!! XOXOXO! It is a small world as we are from the Cincinnati area originally. And I agree about Austin. Always loved visiting her there. Love, love Austin. Texas is its own world. My oldest granddaughter started kindergarten there and I went for grandparents day. Those little bittys started every school day by singing Deep in the Heart of Texas and stomping those little feet. Much state pride in Texas. Jean–you are sure right about Texas being it’s own world! One of my brothers and his family live there and he sure went from being a Northeasterner to a Texan in NO time! It IS a small world and I swear we are all intertwined by more than six degrees of separation! Driving past Lower Manhattan must be a thrill! I’m glad I’ve never had the chance to do it though or I’d definitely drive right off the road and into the water. 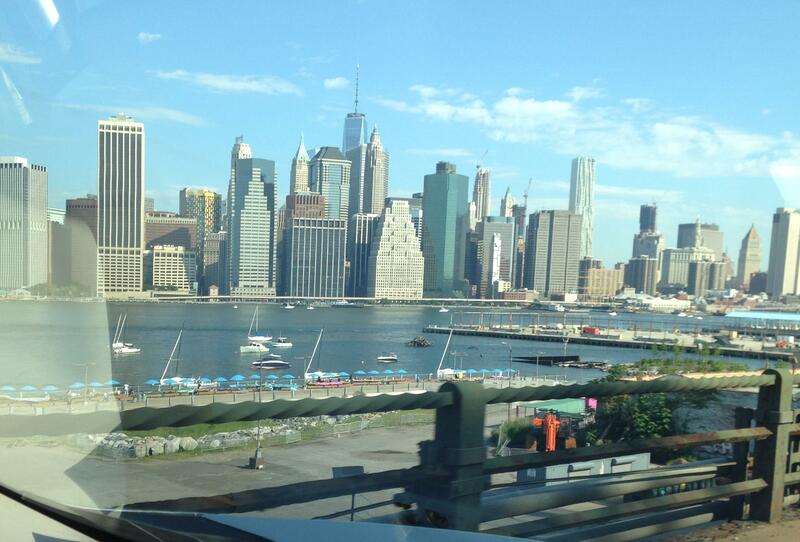 I’ll tell you, I don’t know howmany times in my life that I’ve driven past Lower Manhattan and I NEVER tire of the view. However, I must warn you that you would MUCH better off jumping into the waters off the Long Island beaches instead! XOXOXO! It’s just so iconic… but the water’s kinda dirty, I guess. New Yorkers are always so snobby about Philly, but one thing Philly has going for it is good food! gk! You got THAT right. One of my favorite restaurants ever is “Bibou”. We also love Parc and Spring Mill Café in Conchy. I also have to add the Philly has a great abundance of BYOB’s!!! XOXOXOXO!! Wow! That was one heck of a day. Saying goodbye is hard isn’t it? More choccy for you though! I LOVED the Impressionism exhibit!! It was so well-curated! Honestly, when Bonaparte told me that I needed to hand my audio thingy over, I was stunned because I didn’t think the exhibit had ended. I wanted more. It’s funny because we were at the d’Orsay last month and caught the Pierre Bonnard exhibit. I enjoyed the PMA exhibit better! Looking forward to the upcoming Warhol exhibit! XOXOXOXO! Oh…we joined the museum so I think the audio thingy came with the deal. LOL! I dunno if Warhol is next, but it’s coming up. I can’t find the calendar on my messy desk! We never have anything planned when we go to Paris. Everything is usually done on the fly. We ended up at the d’Orsay because it is my favorite museum of all time–AND Bonaparte’s grandfather was friends with Bonnard–we found out later in the day that one of Bonaparte’s relatives was at the same exhibit later on in the day! But back to the Impressionist exhibit. You know what??????? I was sooooooooooooooooooooooooo happy that Gustave Courbet and Eugene Delacroix were also included in that exhibit too–it was like an extra gift that you receive for no reason! 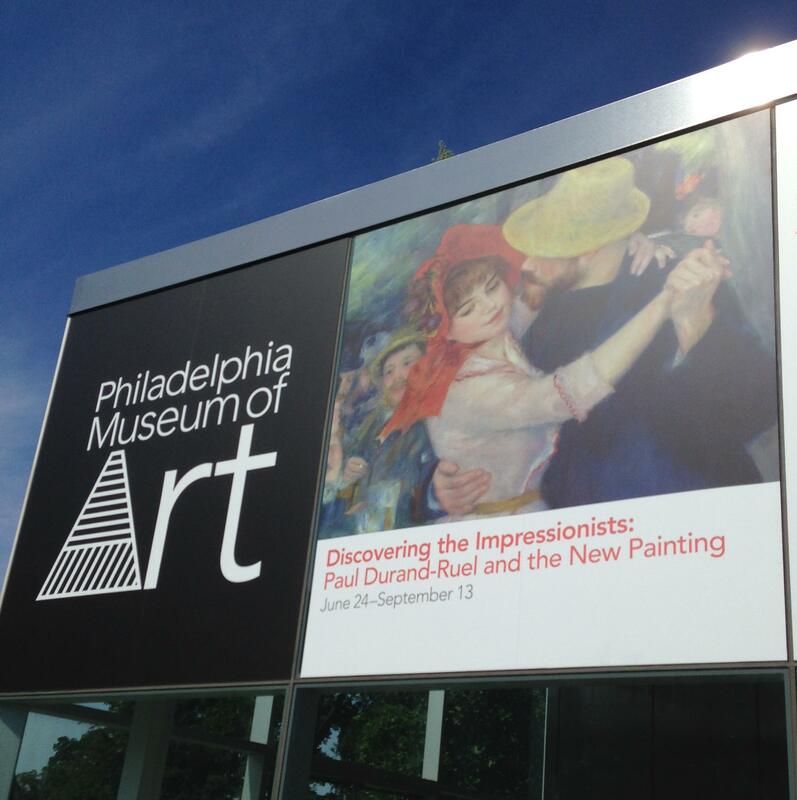 Have you been to the Delacroix musee? It’s a great place! I’m rambling. Sorry! XOXOXO! Thanks for sharing your NYC trip. 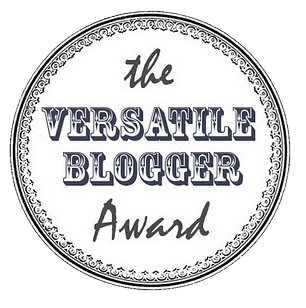 It reminds me of our year as expats there way back when…..we didn’t have any children. I loved our stay there and we’re coming back to visit quite regularly. Love NY! So alive and vibrant. 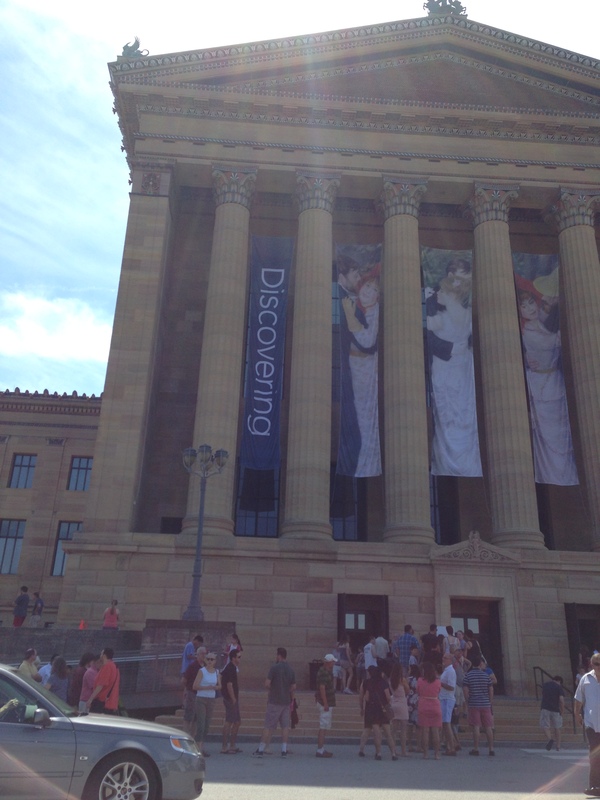 And Philadelphia Museum of Art; they have an amazing collection. I love their 17th century Dutch Masters. We’ve been only once and I have fond memories. The line to the museum doesn’t look very long; in the comments I see that you’ve been to le Musée d’Orsay. During the tourist season the lines get huuuuge. We only visit during winter months and buy our ticket à la FNAC before we go. Hi Bougie! I’m actually working on another NYC post. We were back in the City this weekend to see the boys for brunch! I miss it so much that sometimes I get sick–really! Anyway, I was shocked at how great the Philly Museum of Art is. I’m so glad we became members so we can go back again and again!!! Oh…honey, for Philly, that line was incredibly long–but you’re right. It was nothing compared to the d’Orsay! I’m with you on visiting places during the winter months! We’ve been to Versailles during the winter and it is a charm. Not many tourists–no lines! We do hit the Orsay early though so we’re usually in pretty quickly. It’s funny but Bonaparte and I were just talking about this last night. Being a tourist is way easier in the winter…but any time is really great for travel!!! XOXOXOXO!! !